Expand your vinyl figure collection into the farthest reaches of the DC Universe! The comic version of Batman has been vinimated. 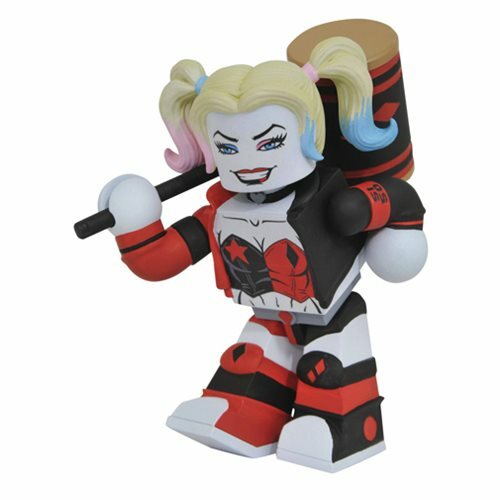 Designed in the Minimates block-figure style, this 4-inch Harley Quinn Comic Vinimate Figure features a ball-jointed neck, and comes packaged in a full-color window box. Ages 3 and up.